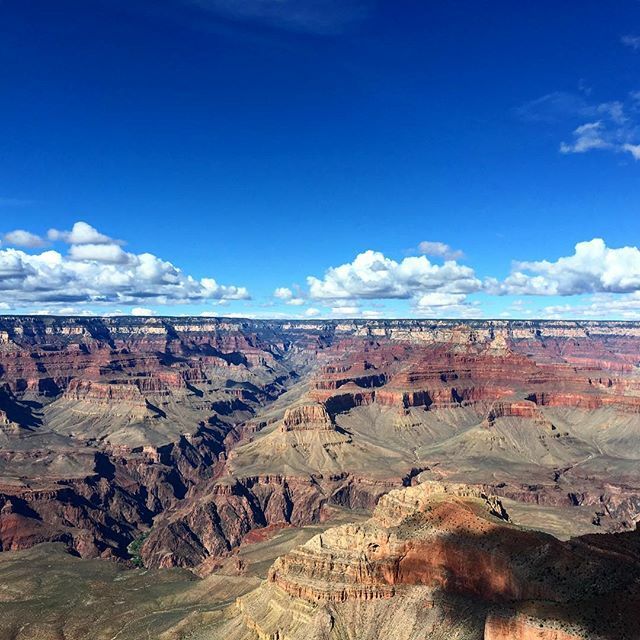 Our shot of the Grand Canyon in Fall 2015 - The view from Lipan Point just before Sunset. Our trip to the Grand Canyon was a semi-unplanned stop. The night before, we were staying in Sedona which although absolutely recommended, turns out to be a pretty quick-see if you're only visiting the town and not exploring the more vast hiking trails surrounding the town center. Covering many of Sedona's main streets more quickly than we thought provided us with ample time to squeeze in a Grand Canyon day trip. At the South Rim of the Grand Canyon many tourists enjoy socializing with other tourists and sharing their feelings of awe. If you like to meet others, help them take better self portraits and get to know their story you'll really enjoy the overall energy of this spot of the canyon. The South Rim is also a popular fashion blogger photo spot. For sunset we opted to check out a lesser traveled fun-to-photograph spot called Lipan Point as seen in the photo above. You'll generally see a small crowd of about 30 here and a few visitors from the Pink Jeep Tours for sunset. Lipan Point is about a 30 minute drive from Grand Canyon Village at the South Rim. While on your way watch out for road-crossing mule deer and other wildlife. For our Grand Canyon / Sedona excursion we stayed at the Best Western Plus Inn of Sedona which we highly recommend. If you're friendly and they have availability, they just may upgrade you to a room with a red-rocks view and your own veranda with a fire pit. This hotel has some of the most reasonable rates in Sedona and the most amazing views. Note that there are two Best Westerns in Sedona and this is the one on the west side of town. The travel notes of Brian + Melissa. Learn more about Brian & Melissa here. ...or Hey! Ready to start to take and write about your own travels? Travel blog the easy way with Weebly. Stare here. Start now. Melissa is a proud trainer & affiliate.